The Occupational Safety and Health Administration reported a total of 33 fatalities at work sites in Georgia in 2012. That represents a 23 percent drop from the 43 workplace fatalities in the previous year, according to the Augusta Chronicle. Thirteen of the fatalities occurred in the construction sector. Sixteen took place in general industry, three in agriculture and one in the maritime trades. OSHA also reported progress in reducing the number of fall accidents injuring or killing Georgia workers. The number of deadly fall accidents dropped by 50% over the past five years. The number of workers killed in accidents involving trucks and other commercial vehicles also fell significantly, by 54%. However, it may be too soon to be very encouraged by the drop in fatality numbers. A decline in construction sector activity, resulting from the weakened economy, may have contributed to the drop in fatalities. As the Georgia economy improves, we may see an increase in workplace fatalities. 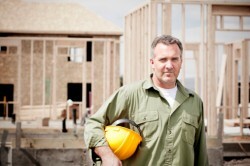 Employers need to focus on worker safety programs to prevent accidents.